After several embarrassing failures to protect the White House from jumpers, the Secret Service has added sharp metal spikes to the fence, NBC News reports. “The temporary design solution for the White House complex fence is meant to improve security, while minimizing visual impacts and respecting the significance of the White House,” the Secret Service and the National Park Service (NPS) said in a statement. 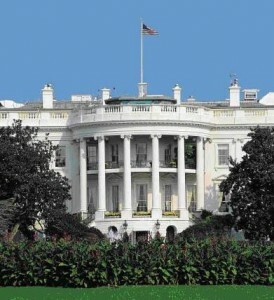 The Secret Service also plans to add an officer’s booth at the entrance of the White House. Work is expected to begin today. FBI Director Comey Warns of Increasing Influence of ISIS in U.S.
Posted: 5/8/15 at 9:22 AM under News Story.